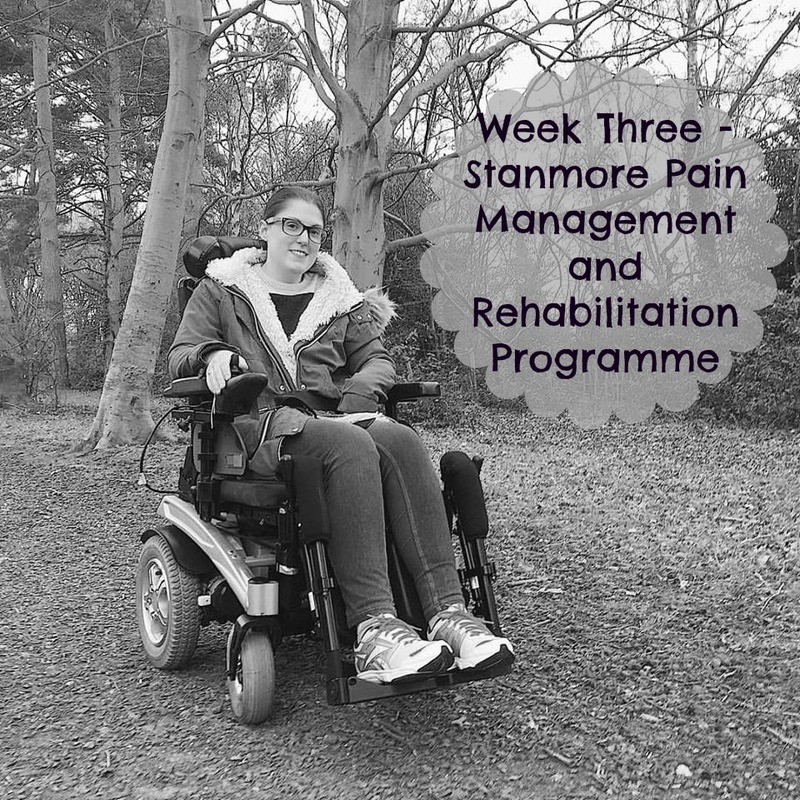 If you read my last few blog posts, you will know that I’ve been writing about my time at The Royal National Orthopaedic Hospital Stanmore on their Pain Management and Rehabilitation Programme. Before I went into hospital, I spent ages searching for blog posts and YouTube videos from other people who have done the programme, but the only one I could find was by the lovely Sarah in Wonderland. I found Sarah’s posts really helpful to read through and they helped me feel a little less nervous and understand a bit about what I had in store. So I decided to write about my experiences on my blog in the hope it will help others going through a similar thing. As you’ll know from my previous two posts, they are pretty detailed, as I don’t want to miss anything out, but I understand that these are fairly specific posts and probably won’t interest everyone. I am also planning to do some other posts about my initial appointments and referral process, and will also be uploading some videos to my YouTube channel once I’ve got them sorted. So if there’s something you’d like me to post about, please let me know. I hope you will either find these posts helpful if you’re waiting to go on the programme, or find them interesting if it’s not something you’ve experienced before. As Monday was a Bank Holiday, I had an extra day at home and didn’t have to go back until Tuesday. This meant that our programme had to be squashed into four days, so my final week was going to be busy! I was up at 5.30am again so my Dad could drive me back to Stanmore. Luckily the traffic wasn’t too bad, so I arrived at about 8.15am. I was shattered already, so unpacked my things and rested on my bed while the other ladies arrived. After going through my weekend goals, I told Greg about my right shoulder and how I couldn’t feel my arm and hand properly. He didn’t really give any advice apart from not to do a couple of my exercises. We decided to work on stairs after that, so Greg watched me walk up and down their stairs first. He then gave me some advice for the best way to do it. I need to remember ABC when going upstairs, which stands for Able leg, Bad leg, Crutch – this is the order you should go up in. Going down is the opposite, so Crutch first, Bad leg and then Able leg. I also did a couple of gym ball exercises to help strengthen my core muscles. Straight after, I had a session with my Occupational Therapist, Chloe. We had a chat about what I wanted to focus on this week and decided it would be a good idea to think about how I will cope and apply things practically over the next three months when I go home. 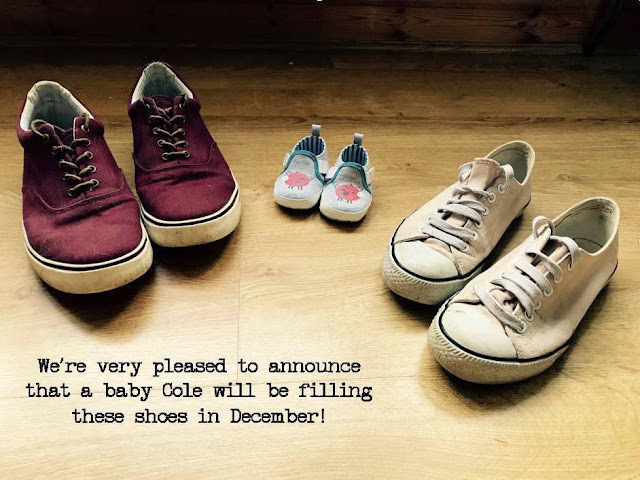 We looked at what I’ll be doing for the next three months, which turned out to be no real plans other than hospital appointments and a week in Ireland. Chloe seemed to understand that having no plans can be just as scary as having lots to do, because it can feel very difficult to find motivation to fill your time. She talked to me about occupational balance and gave me a sheet she’d put together with different types of activity. The idea is that you should try and do things from each section over a day/week to help you feel fulfilled. The categories are: Productivity, Leisure, Social, Relaxation, Movement and Me Time. We finished the session by thinking of a few things to put in these categories that I already do. As I was finished by about 11.30am, I went back to the ward and had a nap, which was much needed after my early morning. I had my Fortisip once the other girls came back to the ward. My psychologist, Declan, gave this talk to the three of us who were in our third week. It was a relatively quick and ‘easy’ talk. He reminded us of the stages of change model, which we were introduced to in our first week. We then discussed some of our motivations to keep going. I found this quite difficult to talk about, because I was feeling very low and when I feel that low it’s hard to identify reasons to keep going. Declan then spoke to us about the things that make it difficult to maintain change, for example, life getting in the way, our health throwing up curve balls etc. We also chatted about the difference between a lapse and a relapse. Basically, a lapse is more of a blip, where things go a bit wrong but you quickly get back on track again. Whereas a relapse is much bigger, so things go wrong but you then find it harder to get back on track again. He talked to us about how to get back on track after a slip-up, so, for example, by using them as an opportunity to learn or by reviewing events that triggered them and making changes to stop it happening again. Elaine, the therapy technician, led this relaxation session. She talked us through a progressive muscle relaxation exercise, which I found quite relaxing, although I struggled a bit with my painful shoulder. For some reason this was the same talk we were given in week one about understanding and communicating pain. I’m not sure if it was deliberate, or whether we were meant to have had a different talk, but we had a few new patients in with us so had slightly different conversations to the previous time. I had another session with Declan, which I really needed, as so much was brought up in my time at Stanmore. A lot of it was completely unrelated to what we were doing, but apparently that can happen when you’re in a safe space with a lot of support. Declan seemed to be able to read me so well and knew exactly the right questions to ask. I cried a lot during our session and he said he was going to see if a Psychiatrist at the hospital would see me before I leave. After dinner, I went down to the lake behind our ward with one of the girls (Lydia). It was a really nice distraction after a difficult psychology session and is such a calm hidden gem. I struggled to sleep after my talk with Declan and had a pretty bad night. I woke up feeling really terrible after a bad night. I was really tearful and felt very wobbly. I went over to the physio department to do Your Move but was struggling to hold back the tears. I went back to the ward afterwards and had a bit of a nap. We started by having a chat about how I was feeling, which helped a bit to just get out some of my thoughts. I wanted to work on my shoulder, as it was still really painful. Greg got me to do a couple of exercises lying on the floor with a gym ball first. Then I lay on the bed and Greg very slowly moved my arm back and forward – it was such a tiny movement but hurt so much! It did seem to get my shoulder feeling a little more stable though. He told me he thought all the muscles around my shoulder had gone into spasm because of the dislocation, so I was given some stretches to try and relax them slowly and gently. When I saw Chloe she could obviously tell how much I was struggling and told me it was OK if I needed to have a cry. So I did – it was good to have a professional to cry with who actually understood and didn’t judge me for struggling. Once I’d had a cry, Chloe got a blank schedule and we tried to start planning what I was going to do the following week, as I was finding the thought of leaving very overwhelming. We put in all my appointments and talked about trying to get into a good routine of when I get up and go to bed. She also printed out a big list of leisure activities to try and give me some ideas to think about. I struggle to do many leisure activities, so hopefully it might give me some things I can try out. The last of our ‘Coping Skills’ groups was led by one of the psychologists. We started by talking about the difference between thoughts and feelings, and why they are important - They are part of how you cope with a chronic health condition. We then talked about the relationship between thoughts, feelings and behaviour using a CBT model, so thoughts affect feelings, which affect behaviour, and it all goes round in a big circle with them each having an affect on each other. This model was used to look at relationships with regards to depression, anxiety/worry and anger/frustration. For each parts of the CBT model cycle, we then thought of exit strategies we could use to get ourselves out of that negative circle. I found the whole group quite difficult with already really struggling to manage my own mental health problems. So I ended up going and crying in the bathroom for over an hour after the group had finished. It’s really scary when you can feel your mental health slipping and don’t feel like there’s anything you can do. I tried to freshen myself up a bit, and then made my way over to the Aspire Gym with a couple of the other patients. I found it quite a struggle to do the activities because my right shoulder was still causing me a lot of problems. I tried to play table tennis using my left arm (which wasn’t easy!) and also did some of the gym ball exercises. After that, my physio, Greg, advised me to stop and rest, which I appreciated. So I sat and chatted to him, whilst watching some of the others play badminton and tennis. Back on the ward, I had a sleep, as I was feeling pretty rubbish. The lady from EDS UK came in again (she comes every other week, which is fantastic) so I chatted to her and some of the other patients for a while. It feels amazing to talk to other people who completely get what it’s like to have EDS, as well as talking to someone who has so much knowledge of different specialists and support services. Unfortunately, I had to go and lie down because I wasn’t feeling great. I had another pretty bad evening, but Nurse Mary sat and chatted to me for a while, which helped a bit. I was also sent a copy of my brother and sister-in-law’s scan picture, which helped me to keep smiling. I slept a bit better thankfully after my chat with Nurse Mary, and went over to the physio department for my last session of Your Move. I was still struggling to do some of the exercises though because of my shoulder. I was pretty exhausted after coming up with all that, so went and had a rest back on the ward. We discussed the concept of eating your ‘Five a Day’ and the fact that some research suggests it should actually be a lot more than five. We also talked about getting an adequate fluid intake, and us patients talked about how this is a lot more if you suffer from POTS. Alcohol intake also came into this, but I don’t really drink an awful lot. We then looked at the different sources of vitamins and minerals and what you can eat to ensure you get everything you need. As I expected, for someone with my digestive problems it wasn’t any help really, as my gastroenterology team has given me specialist advice. I also found some of the discussion incredibly triggering for my eating disorder, which the nurse didn’t seem to take into account. So I ended up leaving the group having to then deal with worsening eating disorder symptoms, as well as my already declining mental health. After lunch, we had the Work Support Group that we were meant to have in week two, led by my occupational therapist, Chloe. She started by asking us what we thought was meant by the word work? After our group, we had to make a quick dash up to the Aspire Leisure Centre for water-based physiotherapy. The building was the hottest it’s been in the three weeks I was there, but thankfully the pool was cooler, which helped with my POTS a bit. Greg led us this time, and did some gentle exercises and movements. We were given some free time at the end of the session, but I was feeling very tired so decided to get out and get changed. I found it really hard to get dressed because of the heat. I then went back to the ward and fell asleep for a while. I had a really difficult conversation with Declan in this session, but it was something I needed to talk about, as it’s something that is massively holding me back. He said he wanted to get my local mental health crisis team involved in my care, so was going to look into that. I haven’t had great experiences with them in the past, so was quite worried about that prospect. A Psychiatrist at Stanmore wasn’t able to see me because there wasn’t enough time, which was quite frustrating, as the ward doctor had promised to refer me to one on my first week but never did. I decided to give Declan the key to my medication cupboard. It was a really hard thing to do, but I was getting a lot of suicidal thoughts and having that key was a massive temptation. He said he really appreciated me being honest with him. I cried with a couple of the girls afterwards, who were brilliant and sat outside with me and tried to make me smile. We all ordered pizza for dinner to celebrate us leaving. We also toasted marshmallows with a lighter and the girls made me laugh, which I really needed. As I’d given my medication cupboard key in, the nurses had to do my medications in the morning, which took quite a long time to sort out. I was very tearful and felt very low. The thought of leaving behind all the support of the staff and the friends I’d made over my three weeks was horrible. I didn’t find the group massively helpful to be honest, as I’ve already gone through sleep hygiene with other health professionals, so there wasn’t anything new. I would have found it more useful to discuss how it feels to be leaving. I did some packing and said goodbye to the other ladies. Most of us exchanged contact details and promised to keep in touch, which is really lovely. I then rested and did some writing until my Dad arrived around lunchtime. Declan wanted to speak to my Dad about what’s been going on with me, so we had a group meeting. He told my Dad how low I’ve been and asked him to keep an eye on me. He said he would speak to my Psychotherapy assessor about what we’ve spoken about. I got very tearful, so Declan then spoke to me on my own. I was feeling incredibly low and really worried about how I was going to cope without any support. We chatted some things through and he said he would ring me the following Monday or Tuesday to see how I was, which I really appreciated. He decided not to get the crisis team involved; as he was concerned they would make things worse. I ended the session by giving him a thank-you card and present, and also my ‘Good Care’ heart. I had a couple of people I was thinking of giving it to, but felt that Declan had really gone out of his way to try and help me. My Dad then brought me home, where, if you’ve read my recent mental health post, you will see that I continued to struggle quite a lot. Ideally, I would have continued to see Declan to go further into some of the things I am finding difficult, but unfortunately he was leaving fairly soon after my admission. I think I will probably write a separate post to talk about my overall experience of Stanmore, so I won’t go into it too much here, as I want this to be more of a factual account. But I hope these three posts have been helpful in explaining what the three-week programme is like. You can check out my YouTube channel here, where I have recently uploaded a few new videos (and hope to continue doing!) I will also be uploading some videos about my time at Stanmore. What have you been up to recently? I always enjoy hearing about your news and adventures! I’d also be interested to hear if you’ve ever been to Stanmore or are waiting to go.